This post has been long overdue. 2 friends of mine came over and whipped up this delicious dish for me and my friends to try. Hope you like it. 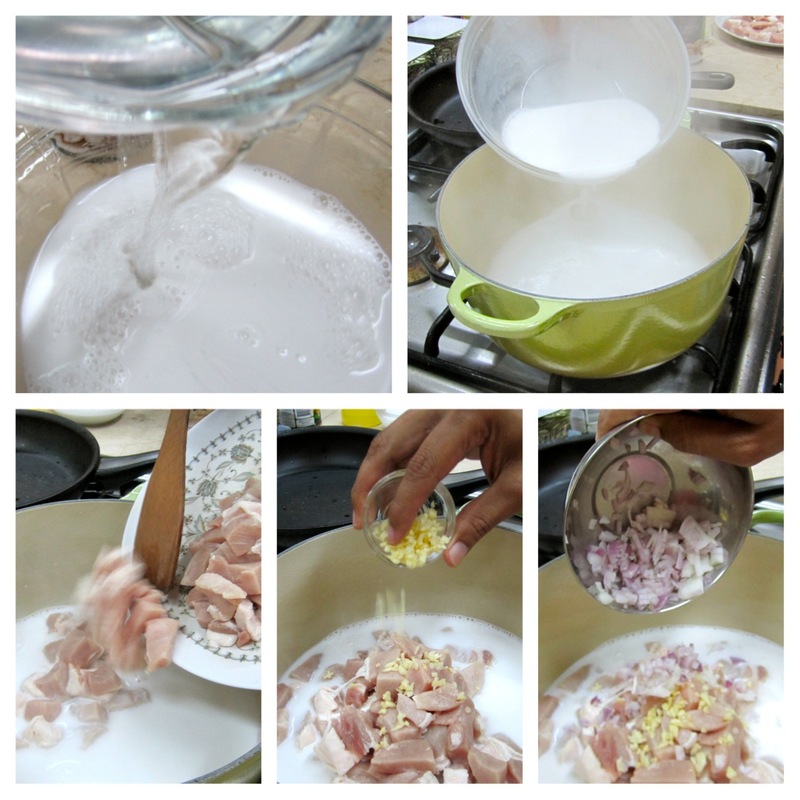 Combine the coconut milk and water, pour into the pot. 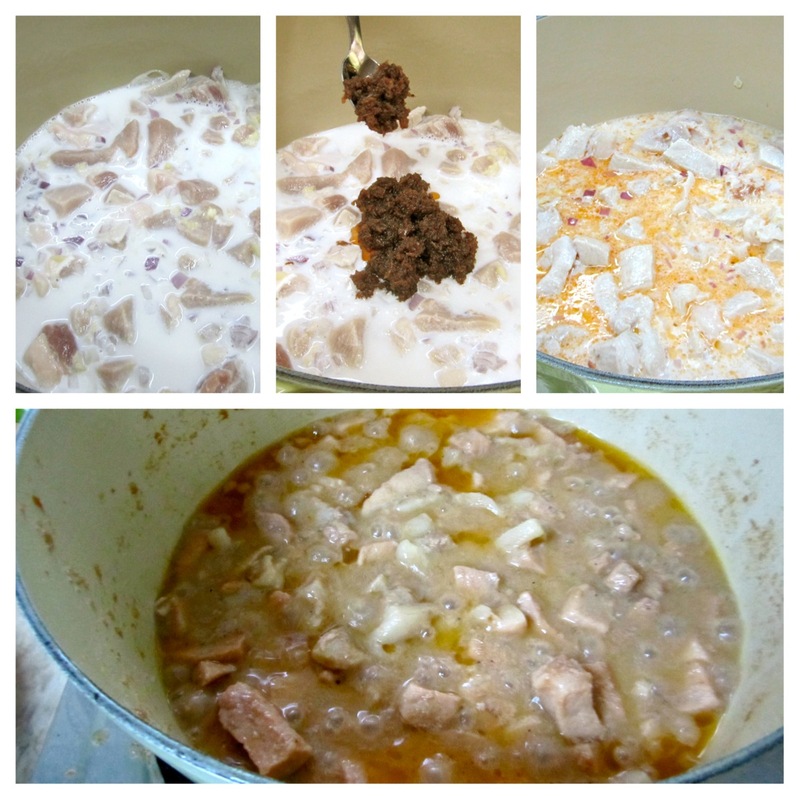 Add the pork cubes, garlic and onions. Stirl to combine. 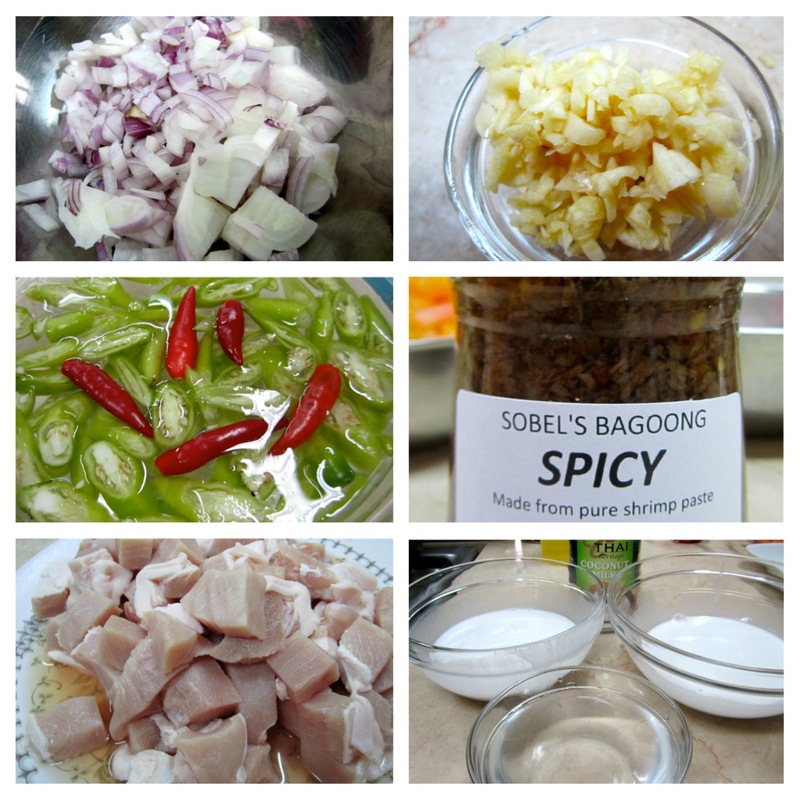 Add your desired amount of bagoong, keeping in mind that it’s easy to add more but harder to take away. 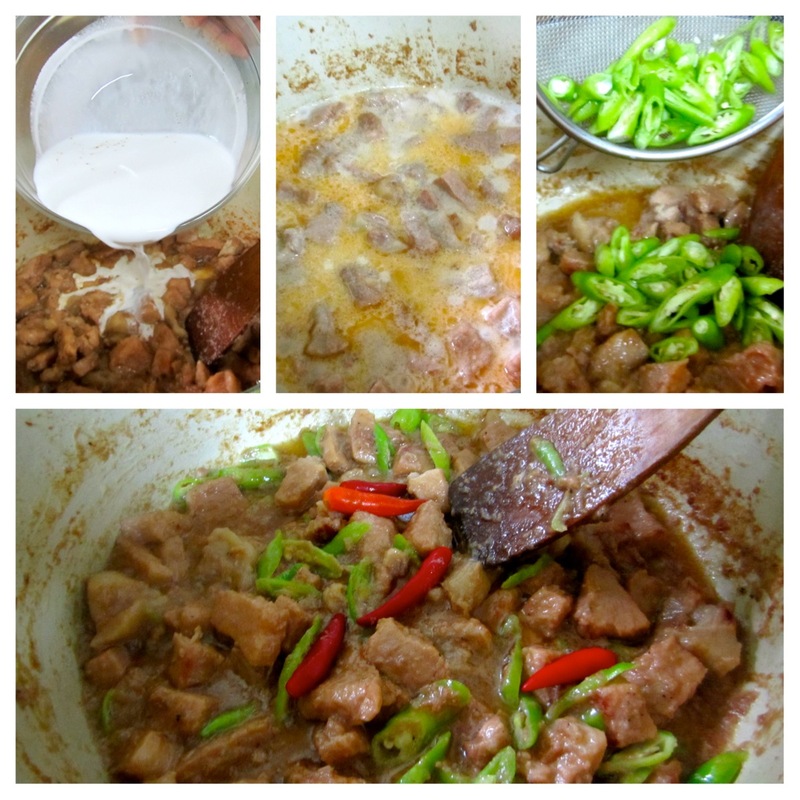 Stir to combine and allow to simmer until pork is tender and sauce somewhat thickened. 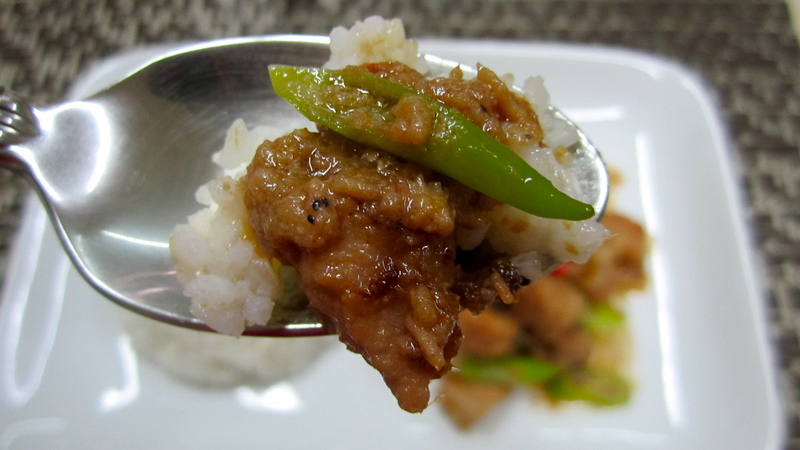 NOTE: if you pork is still not tender and the sauce has thickened, you may add more water and cook until fork tender. 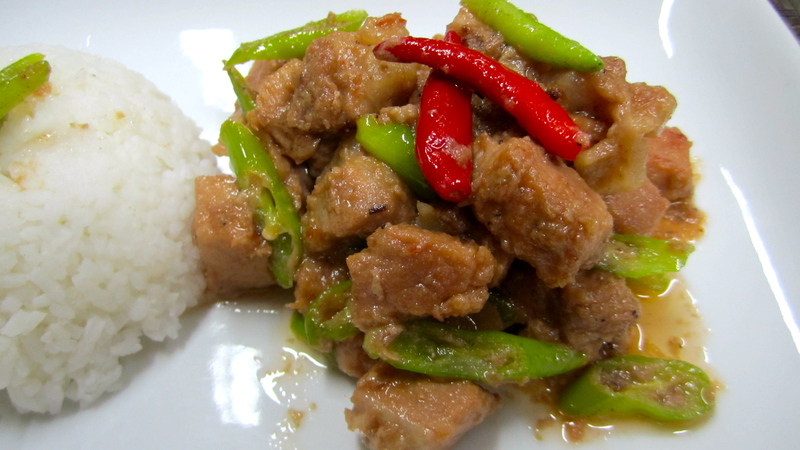 I used a lean cut of pork like casim (pork shoulder), but you can opt to use liempo (pork belly) if you wish. 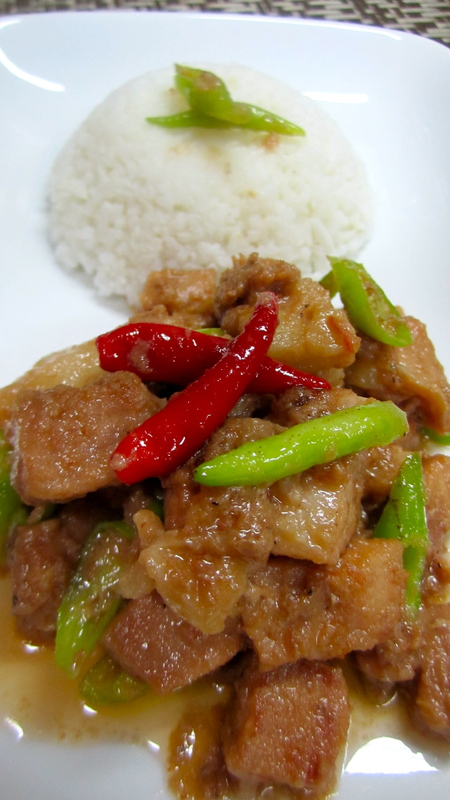 Once the meat is tender, add the coconut cream and simmer until thick and glistening. Add the sliced green chillies and cook for another 3-5 minutes. Serve. Thanks to my dear friend, Tessa and her awesome chef hubby, William. This dish was fantastic! maybe i should cook it directly sa pressure cooker? is that even advisable?